"God is a universal energy, not a person," the aliens told her, according to Rodriguez Aguilera. "It's in everything. God talks to people and they understand it in different ways, but there's only one religion." 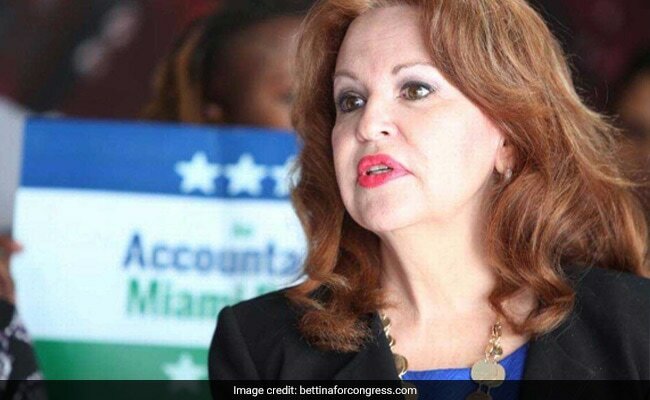 Rick Yabor, a Miami lawyer and political commentator, told The Washington Post that Rodriguez Aguilera isn't likely to win - especially in light of revelations about her previous claims. "Why Bettina jumped in that race, I don't know . . . her views are not very mainstream," Yabor said, referring to Rodriguez Aguilera's stories about aliens. "There's going to be people that believe her, and there's going to be people that think she's wacky." And anyway, Yabor said, the district leaned Democratic in last year's election. Two of Rodriguez Aguilera's Republican primary opponents, Bruno Barreiro and Raquel Regalado, are better known in Miami-Dade County than she is, Yabor said. Barreiro has been a county commissioner for nearly 20 years. Regalado is the daughter of Miami Mayor Tomas Pedro Regalado and is a former school board member in the county. Rodriguez Aguilera was a member of the Doral City Council from 2012 to 2014. The city's mayor nominated her to replace the vice mayor in 2013. Before that, she was the city's economic development coordinator for two years. In 2015, Miami Dade College launched its Women's Institute, which offered a women's studies program developed in partnership with Rodriguez Aguilera, the South Florida Times reported. Rodriguez Aguilera's daughter, Bettina Inclan Agen, is a former director of Hispanic outreach for the Republican National Committee. Agen is married to Jarrod Agen, Vice President Mike Pence's deputy chief of staff and communications director.